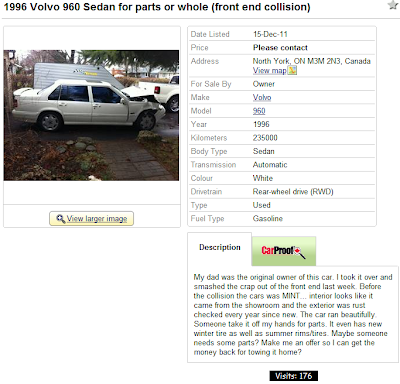 YSAK 479: Car, used to be mint. No longer mint. My dad was the original owner of this car. I took it over and smashed the crap out of the front end last week. Before the collision the cars was MINT... interior looks like it came from the showroom and the exterior was rust checked every year since new. The car ran beautifully. Someone take it off my hands for parts. It even has new winter tire as well as summer rims/tires. 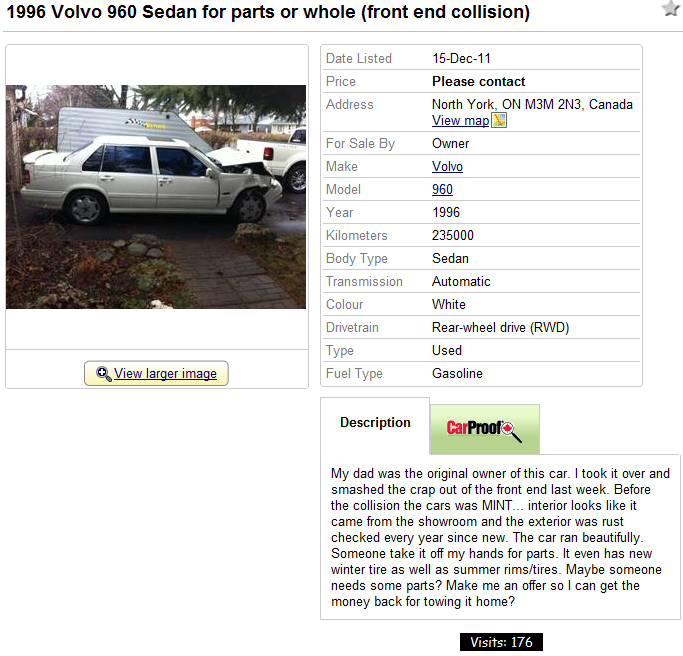 Maybe someone needs some parts? Make me an offer so I can get the money back for towing it home?